There’s no easy way to put this, so I’ll say it straight out. It’s time I faced up to the truth. I’m fourteen years old and I have Ishmael Leseur’s Syndrome. There is no cure. 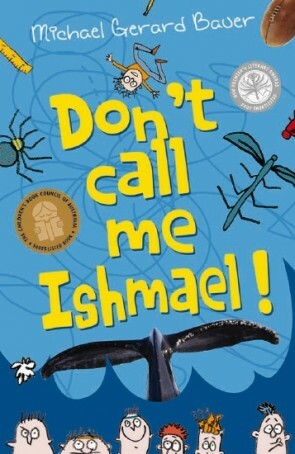 But that won’t stop Ishmael and his intrepid band of misfits from taking on bullies, bugs, babes, the Beatles, debating and the great white whale in the toughest, the weirdest, the most humiliatingly awful – and best – year of their lives! Michael Gerard Bauer, is is the award-winning author of Don’t Call Me Ishmael. He has taught English and economics, and lives in the suburb of Ashgrove, Australia.